Start Winning Golf with the Use of Hypnosis! Start winning golf, eliminate YIPS, improve your handicap and abilities with an effective secret weapon: Hypnosis! Discover your true golfing potential like never before, and get the edge over your opponents! You are standing at the tee. It is a beautiful day with a clear, blue sky. You feel a slight breeze on your body. You are calm and focused. Your knees are slightly bent. You are looking confidently down the middle of the fairway, picking the spot where you want the ball to land. Your head is down throughout your swing. You watch and feel the club make contact with the ball as you follow through, shifting your weight from your back foot to your front foot in a fluid motion. You watch the ball sail down the fairway and land in that perfect spot. You smile as you advance to finish the job. It’s easier than you think with the Winning Golf Hypnosis MP3. Your golf game is part skill and part psyche and that is just one reason why hypnosis is so effective in helping you improve your game. If you are not up to par in other areas of your life, your game is impacted too. Hypnosis helps you relax and come to grips with other problems so you can have more focus for your game. Hypnosis is a game strategy that works. When you utilize hypnotic methods you are able to sort and organize thoughts, reduce stress, and overcome self defeating habits. Hypnosis is performed in a setting where total relaxation is possible in order to get the best results from each session. This is usually just before going to sleep at bedtime. Much of the way hypnosis works to improve your golf game, or any other area that needs improvement, is to create a vision of yourself acting in a way the brings about change. For example, with golf, hypnosis helps you envision yourself with perfect form, precisely directed swings and the end goal in site – that miraculous hole-in-one. Although hypnosis cannot change your skill level without you putting the effort into the physical part of practicing, it can change your mindset about your abilities and give you greater confidence. Often a lack of confidence is the only obstacle to achieving success. Clinical Hypnotherapist, Steve G. Jones, has created the Winning Golf Hypnosis MP3 program to accomplish the removal of all obstacles to a winning golf game. After listening for just a few short weeks to the hypnosis program, you can removes stresses and anxiety, envision yourself in a winning position, and increase confidence in your own innate abilities. Steve G. Jones, Ed.D., Clinical Hypnotherapist, charges $1,500 for a custom recording and $25,000 for a one-hour private hypnotherapy session at his office. But you can get all the benefits for this low price. Simply listen to the Winning Golf Hypnosis MP3 session every night as you go to bed for three weeks and feel the changes happening in your life. You will feel more empowered, more in touch with your true self, and you will truly know that your goals are within your reach. Imagine yourself playing golf. You are engaged in playing golf. Imagine yourself as you perform. Imagine competing with yourself or others. You are an excellent player. You enjoy your sport. You enjoy exercising your body and competing to test your strength and abilities. You enjoy the social aspects of your sport. You enjoy your sport and your attitude toward yourself and your opponents is positive. You are cheerful. You are confident and strong. Now, just imagine yourself, imagine yourself beginning. You ready yourself and you take in a few deep breaths. You relax your entire body. You focus your attention on what you are going to do. You focus your attention on your movements. You concentrate. You concentrate. You are able to keep your concentration for as long as you want. You move easily and quickly. You move easily and quickly. And when you need to move slowly, you move slowly and easily. You are assertive. You are assertive, but not over anxious. You are assertive, but not over anxious, not over anxious. You are steady and strong, steady and strong and you feel proud of yourself, proud of yourself. You behave like a champion. You are a champion. You learn from your mistakes. You see clearly the slight corrections that will allow improvements in your technique. You make those improvements, those improvements are made and you meet the challenge. You meet the challenge before you. You are ready for that challenge and you meet it, time after time. You just keep coming back with complete confidence in your golf skills and you win. Feel that win. Feel how that win just moves through your body. Imagine your body position as you are playing. Imagine your body position just as it should be. It feels completely perfect and natural. It feels comfortable. Now imagine the perfect swing, a perfect, steady swing. You are in control and you execute your shot, making perfect contact with the ball. See the ball; follow the exact course it should take. As you watch the ball, it is as if you go where it is supposed to go just by following it with your eyes. It’s easy because your stroke was perfect. Your stroke was perfect. Your stroke was perfect. And you find that you are so happy, so happy and joyful because you are a winner. You play well, very well and you now let each movement and each strategy be imprinted on your subconscious like a blueprint that can be recalled at each and every challenge. You are winner. You are a champion. You feel like a champion through and through. And that feels wonderful. Do you want to improve your golf game? Do you want to impress the friends, family members, and co-workers you play with? Improving your golf game is easy with hypnosis! The Winning Golf Hypnosis MP3 audio session will help sharpen your golf skills and improve your game. This hypnosis program will give you the focus and concentration you need to perfect your swing with every stroke. 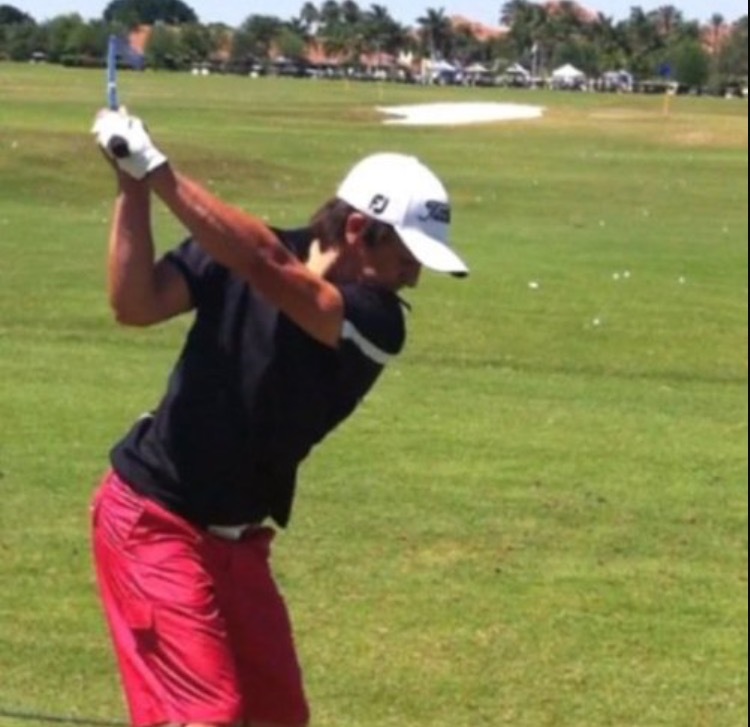 Visualization is key to improving your golf game. This hypnotherapy MP3 will help you visualize landing the ball right where you want it to go. 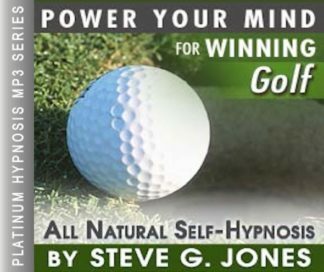 We suggest you listen to this Winning Golf Hypnosis MP3 program on a nightly basis for 21 nights in a row. In no time, you will see a dramatic improvement in your golf game. This program is much cheaper than lessons and you’ll receive the same benefits!